SAN FRANCISCO (REUTERS) - Yahoo Inc is shutting down seven products, including its mobile app for Blackberry smartphones, as new chief executive Marissa Mayer takes a page from Google Inc's play book by eliminating unsuccessful products en-masse. The product shutdowns, which Yahoo announced on its official company blog on Friday, are part of what the company said are regular efforts to evaluate and review its product line-up. "The most critical question we ask is whether the experience is truly a daily habit that still resonates for all of you today," wrote Mr Jay Rossiter, Yahoo's executive vice president of Platforms. 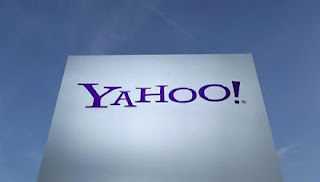 The announcement represents Yahoo's second group shutdown of products since Ms Mayer, a former Google executive, became chief executive officer of the struggling Web portal in July. So-called "spring cleaning", announcements, in which multiple products are shut down, have become a regular feature at Google in recent years.